Congratulations! You’re engaged! Getting engaged and planning a wedding is a time to celebrate the love you have for your partner. Even though it’s an incredibly meaningful and exciting time in your life, there’s no doubt it’s also stressful. Between finding a venue, picking a date, finding the perfect dress, coming up with a guest list and so many parties to plan in between, it’s easy to feel more anxious, stressed, overwhelmed and tense. While we all know that feeling stressed during wedding planning is inevitable, how do we know if it’s stressing you out a little too much? You’re prioritizing wedding planning tasks over eating, sleeping and doing other things you lov. You begin second-guessing all your decisions. So much worrying and overthinking! You’re no longer having fun planning your wedding even though you’re about to marry the love of your life! If you’re deep into wedding prep, there might be a chance you’re experiencing some of these signs. Do they sound familiar? If so, it might be beneficial to make some time for self-care. 86% of couples say that wedding planning caused them to experience negative physical side effects. Even though your to-do list seems to be a mile along, stepping away from it for a while might be just what you need. Consider setting certain times aside to work on wedding planning, and then do something you enjoy that will help you relax. Take a break and do something restorative that will allow you to re-center yourself, like a massage from Elements Massage™. We’re here to help! Massage is known for reducing stress, anxiety, pain and muscle tension (all of which you’re probably feeling at some point during your wedding planning!). The mental and physical health benefits of massage are undeniable. 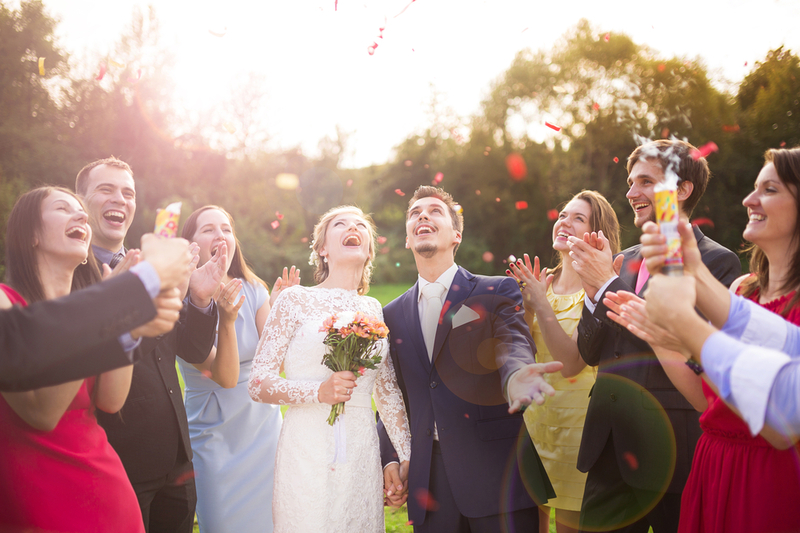 Just one to two hours of massage has the potential to make everything you do, including those items on your wedding to-do-list, less stressful and less painful. This ultimately leads to a more productive day! Here at Elements Massage™, we offer a truly customized therapeutic massage to every client based on their individual needs. The added stress of wedding planning may leave you with sore and tight muscles. Maybe you’re even experiencing frequent headaches. Our Elements Massage™ studio therapists take the time to listen and communicate with you about what’s been bothering you. You’ll no doubt leave our studio feeling more relaxed, rejuvenated and relieved! Wedding preparation can be a long and demanding journey. You may find that you want to schedule regular massage sessions throughout the planning process. When you call to schedule your appointment, make sure to ask about our Elements Wellness Program™ and learn how you can schedule regular massage sessions at a discounted rate. It is a known fact that wedding planning can be stressful for many people. Focus on the positive. You’re going to be married to the love of your life at the end of all this. Wedding planning will be fun and thrilling if you’re also able to learn how to prioritize your own self-care and wellness!